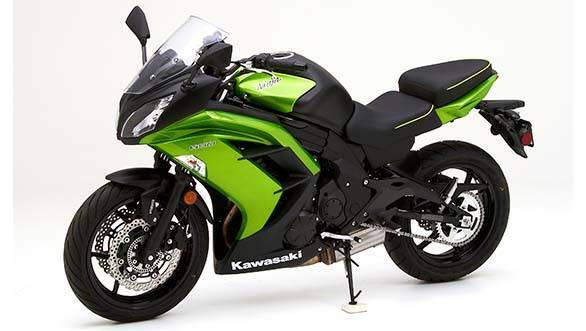 The Kawasaki Versys 650, according to Kawasaki, is hard to classify. That's because it borrows the best of the adventure tourer, tourer, sportsbike, street bike and more. In essence, it is a tour-enduro, a term we heard recently at the EICMA show in Milan. While we wait for the Kawasaki Versys 650 test bike to come, we decided to place it in context via what the specifications promise. For normal middle-weight motorcycles, we drafted in the Kawasaki Ninja 650 and the Benelli TNT 600 GT. The N650 is the natural comparison point - it's essentially identical in many, many ways. 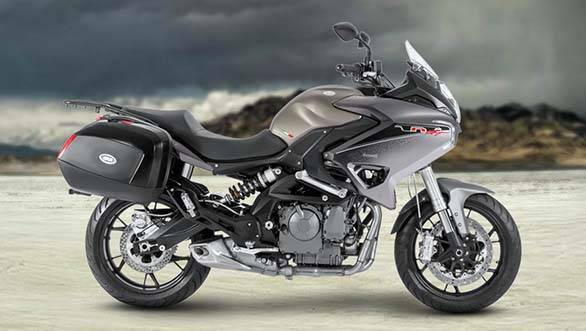 The Benelli is here because it claims to be a tourer - matching the role promise of the new Kawasaki Versys 650. On the other side, since the Versys also has good ground clearance and some promise of soft-road-ability, we drafted in the Triumph Tiger XR - the cheapest model - and the Ducati Scrambler Icon. 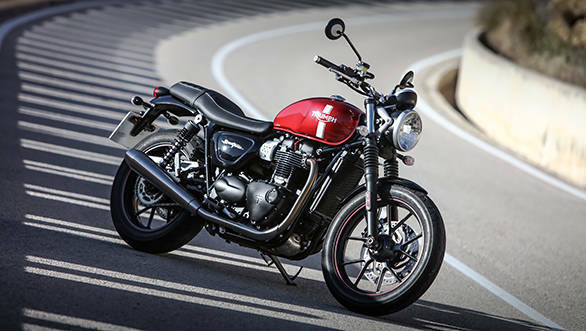 Finally, we decided to throw the upcoming Triumph Bonneville Street Twin, a motorcycle that promises to be an excellent all-road tourer in our conditions. Here are the things that stood out. 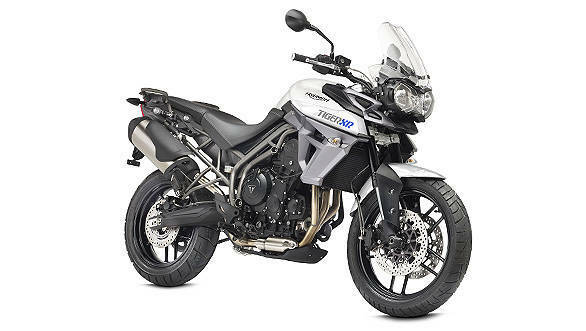 The Tiger XR has the biggest engine here, the 800cc triple and there's no surprise that it offers the most horsepower and the best power to weight ratio by some margin. But beware of the new Street Twin, it has an even bigger engine - by February 2016, it'll be the biggest in this crowd - and offers incredible torque and at just 3,230rpm! 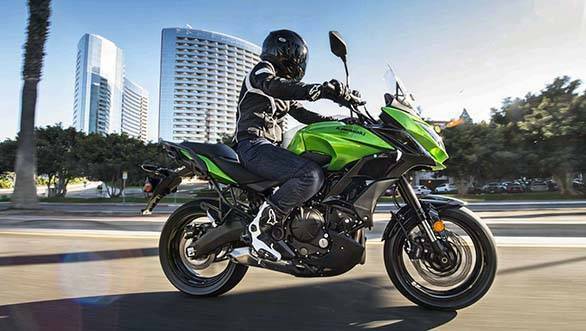 If you leave the Street Twin out, the Kawasaki Versys 650 offers a good amount of torque and is tuned to deliver a relatively flat curve right off the bottom, trading in some horsepower at the top to attain this role-friendly goal. We know from experience that the Benelli isn't the fastest off the blocks but it does a reasonably good job in cruise mode. The Scrambler's much quicker in acceleration but without wind protection and an overtly sensitive throttle, it needs fine-tuning before it shines in long distance work. If the Versys 650 proves to be a fast, efficient motorcycle at about 130kmph with minimal vibration and reasonable economy then the combination of its 21-litre tank, adjustable windscreen and upright ergonomics should be devastating. Especially considering that it's got the fanciest suspension spec here by miles and the second lowest price point of all.